The outbreak of Ebola across West Africa has brought the region to the forefront of global security. 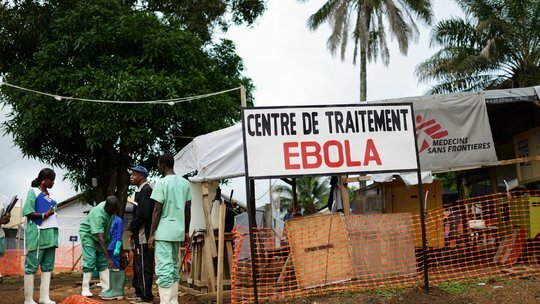 As the deadly Ebola virus rips across West Africa causing death and civil unrest (i.e., due to the fear mongering that accompanies an epidemic) the fate of region remains at an impasse. As a result, West Africa has been brought to the forefront of global security. Over the last week, new cases in the U.S. and Spain have ignited fear of a possible of a global pandemic stemming from West Africa. Earlier in 2014, almost 300 school girls were abducted from Chibok — the capital of the northeastern state of Borno — by Boko Haram, an “Islamic” terrorist group. (Islamic is in quotations due to the fact that many Muslims do not agree that Boko Haram follows the Islamic faith.) The kidnappings sparked global outrage as the social media campaign #BringBackOurGirls went viral. Since that time, 60 of the women and girls managed to escape, but the whereabouts of the other 220 girls is unknown. Since the decolonization period of the 1950s and ’60s, West Africa has had more than 20 conflicts both internal and regional. There are currently ongoing conflicts in Nigeria and Mali and recent conflict in Guinea, Guinea-Bissau, Cote D’Ivoire, Sierra Leone, Liberia, Niger and Mauritania. The region holds strategic importance to U.S. national security as rebel groups such as Boko Haram and Al Qaeda in Islamic Maghreb (AQIM) continue to pose a threat to regional security and Westerners. The U.S. involvement in Mali in 2013 shows the importance officials put on maintaining a presence in the area. With much of North Africa falling to unrest and lawlessness (Libya, Southern Algeria), the importance of keeping — and possibly scaling up — a presence in West Africa cannot be forgotten. Nigeria is the most populace country, not only in West Africa, but on the entire continent. As of 2014, Nigeria surpassed South Africa as the continent’s largest economy as well. Also, with a growth rate of almost 2.5 percent and the median age hovering at 18 years, the population of the country is expected to balloon to over 270 million people by the year 2030. All of these factors place Nigeria at the forefront for the most strategically important allies in Africa. However, Nigeria is not without its problems. Overall, the country suffers from poor universal development, income inequality and rampant corruption. Nigeria ranks 152 out of 187 countries in the United Nation’s (U.N.) Human Development Index (HDI) for 2014. This HDI uses several indicators to test the quality of health, education and livelihood for people within a particular country. A ranking of 152 means that Nigeria falls within the low human development category. Nigeria also ranks 144 out of 177 countries in Transparency International’s annual Corruption Perception Index as 63 percent of people reported paying a bribe and the police are considered the most corrupt institution. Couple this with rampant corruption in Nigeria’s oil industry and overall development for the common person suffers. According to the U.N. Office on Drugs and Crime, corruption can stifle economic growth and diverts much needed funds away from education, health and development programs. In Nigeria, the political elite and their cronies continue to get richer, while 70 percent of the country remains stuck below the poverty line. Significant strides in curbing corruption and poor development must be made to help Nigeria transform its functionality and global perception into a positive in order to maintain the nation as a long-term ally. 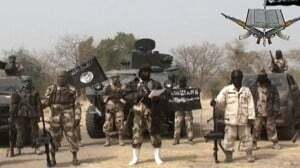 Boko Haram is just one of many terrorist or insurgent groups in the region. There is also an issue of trust between the U.S. and Nigeria. 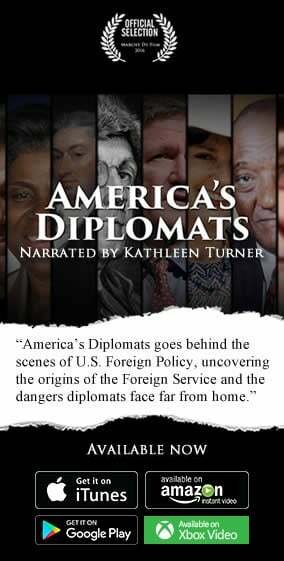 When the U.S. military established its African Command (AFRICOM) based on the recommendations of the U.S. Department of Defense in October 2007, then Nigerian President Yar’Adua declared that the AFRICOM base should not be located on African soil, souring the relationship between Nigeria and the U.S. Despite this rocky demeanor, the U.S. and Nigeria have cooperated on many exercises and the U.S. has made donations of hardware and training to bolster Africa’s fourth largest military. Working together is an option, but impactful interventions and collaborations must be made to create a strong alliance between the two countries. Given all of the benefits Nigeria can offer in security in Africa, the U.S. must create a long-term strategy to help transform Nigeria and mold them into a reliable and trustworthy ally. This process begins with effective development programs. By earmarking direct aid money for development programs designed to eradicate corruption and develop Nigeria’s middle class, the U.S. can guide Nigeria on a path to greater human and economic development. Continued collaboration between the Nigerian and U.S. military will also help bridge the trust gap that exists. While this may seem like a large obstacle to overcome, the reality is that having the most populace country with the largest economy in Africa as an ally will help the U.S. develop a sound strategy for peace and security on the continent, while garnishing support for anti-terrorist operations. Africa may be the new breeding ground for terrorist and insurgent groups on a global scale. However, before these groups expand and develop into a force such as Al Qaeda or ISIL, the U.S. must have a plan to eliminate these groups at their core. In order to do this, the U.S. must have a strong ally on the continent that can be trusted to collaborate efforts and utilize the close proximity for convenience to launch missions. This ally should be Nigeria. But before anything can be done, the U.S. must help Nigeria clean up its backyard and new levels of trust must be established.